A Book Dork: Review of "The Raven Boys"
Review of "The Raven Boys"
Short and Sweet Synopsis: Girl raised by psychics meets her destiny when a group of boys from the preppy private school enters he life. 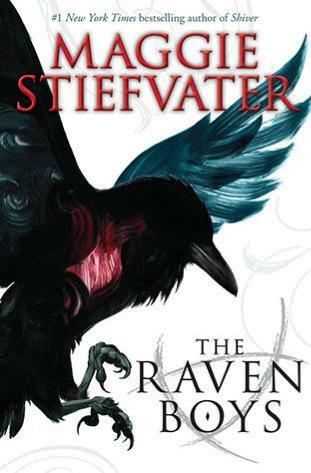 I have read all of Maggie Stiefvater's book and really enjoyed them, so I was very disappointed while reading "The Raven Boys". It just felt like there was too much going on int he book. While the plot was interesting, it just moved too slowly. The book didn't feel like a smooth flow of character and plot development. The lore in the book was complex and took away from the progress of the story. I like fully developed characters, but I didn't connect with half the cast and it slowed down the plot even more than the mythology. Blue was a very interesting character and I would have liked to learn more about her family. I never really warmed up to Gansey; while he had his moments of being human, he felt like a robot. I did enjoy Noah and wish he had been more central in the book. Another problem was that I listened to the audio book and I just did not like the narrator. I should have stopped listening when I realized I wasn't a fan, but I was hoping it would get better. I had faith that Maggie's writing would pull me through, which it did, but not enough for me to fall for the series. Sadly, the book moved too slowly and I wasn't hooked until the end. It was interesting, but I will not be reading the rest of the series. Maggie Stiefvater is a great writer, I'm sure many people will enjoy this book and find the series very satisfying; unfortunately, this series just isn't for me.